NW Fencing Center’s history spans nearly five decades, becoming the premier training and competition facility it is today because of the dedication and faith of many. With such deep roots, we are proud to be part of the legacy of fencing in Oregon. Read on to learn how our story began, how we’ve grown throughout the years, and what the future holds. 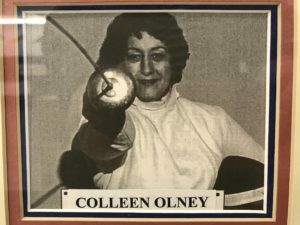 In the 1960’s, Portland native Colleen Olney was recovering from a car accident, and looking for a sport to help her with the rehabilitation of her injured wrist. She stumbled on fencing, and after a few short sessions, she was enamored. Colleen is the matriarch of the NWFC community. At the time, fencing wasn’t a particularly popular sport in our region. So, Colleen and her fellow fencing enthusiasts set about persuading Leon Auriol, a Seattle fencing master, to come to Portland to teach lessons. M. Auriol was a native of France, and earned his fencing master’s degree from the Paris Institut National du Sport in 1962. 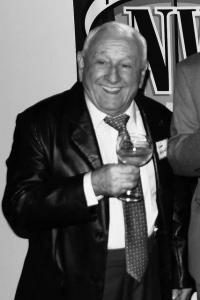 Leon moved to the Seattle area to teach fencing in 1963. Ms. Olney was able to entice M. Auriol to drive to Portland provided she could guarantee him at least eight lessons. She delivered, frequently tapping her sons Michael and Robert Marx to participate. By 1967, Leon was commuting to Portland to teach fencing on a regular basis. Colleen was hoping to convince Leon to move to Portland permanently, but he decided to stay in Seattle. Leon recruited his brother, Yves Auriol to help the team in 1971. Yves, also a fencing master, came to Portland and built on the foundation of his brother’s work. By 1972, with the backing of Colleen, Rocky Beach and Rosemary Lown, the Salle Auriol School of Fencing was created. Yves put the students on a strict training regimen, inspiring the athletes to be competition-ready. 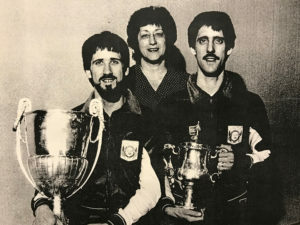 The school’s reputation grew, and by 1975 the Salle Auriol School of Fencing helped host the Junior Olympic Championships at Portland State University, and hosted the National Fencing Championships. 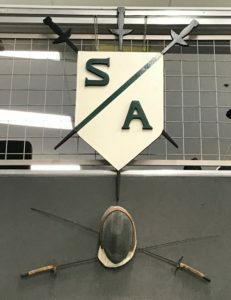 By the end of the decade, the Salle Auriol School of Fencing had earned 12 national championships and 22 world members. 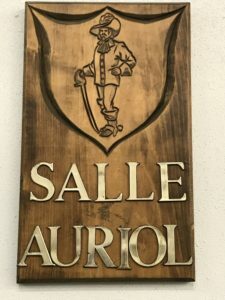 After growing out of several locations, the Salle Auriol School of Fencing settled into a long-term residency at what is now known as the Sunset Athletic Club. It is here that the school’s fruitful relationships with Chuck Richards, the Oregon Sports Authority, and the Oregon Sports Trust began. Yves hired Alex Beguinet, a fellow French native and fencing master, to assist, bringing the school even higher visibility in the region. Mr. Beguinet eventually went to work at Duke University in 1985. Yves also piloted a program called The Portland Project, bringing national-caliber athletes from across the country to train with him. The United States Fencing Center Foundation was created to support this endeavor. The initial directors of the USCFC were Colleen Olney, Chuck Richards, Sharon Krogh, Doris Posedel, Bernard McGovern, Betty Santelli, and Fred Thorsen. Suzanne Marx (née Brown) and Derek A. Holeman worked for the foundation. Around this time the school incorporated to become a non-profit called The Salle Auriol Fencing Club (SAFC). Susan Badders, Suzanne Marx, and Michael McGowan incorporated the club, and Robert Marx, Anne Klinger, Sana Via, JoAnne Deazley and Susan Badders comprised the first board of directors. It’s reputation well established in the world of fencing, the SAFC worked with Une Touché de Portland (UTDP), a benefit corporation and qualified amateur sports organization. 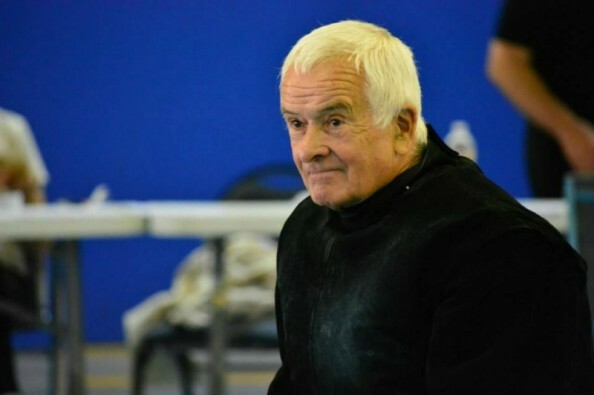 The goal of UTDP was to continue the work Yves Auriol’s Portland Project began by supporting fencing athletes and organizations, allowing them to train with SAFC’s best and make use of the facilities the SAFC could provide. The UTDP also provided individual grants to athletes vying for placement on international teams. Gia Abachidze was hired on as head coach in 1996 after Regis Mantzer returned to his native France. Gia, originally from the Republic of Georgia in the former Soviet Union, received his fencing master’s degree from the Georgian State Physical Training Institute in 1984. Michael Marx assumed the role of head coach and director, leading the center to greater success with 18 national champions, 14 world team members, four Olympians, and three world champions. The official inauguration of the Northwest Fencing Center (“NWFC”) took place in early 2000. Beginning in 2001, NWFC began to expand and refine their instruction to include group classes built around age and aptitude, classes for homeschool groups, and adult instruction, a practice that continues today. When Michael Marx left NWFC in 2008, Sebastien Dos Santos came on board. 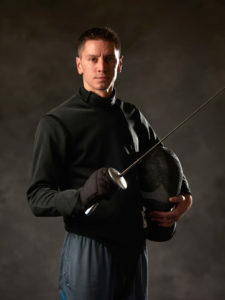 M. Dos Santos received his fencing master’s degree from Fédération Française d’Escrime et Ministère de la Jeunesse et des Sports in 2000. Also joining the NWFC family at the same time was Simon Abram, a cousin of Sebastien’s who earned his fencing master’s at the Fédération in 2006. M. Abram is NWFC’s current Head Coach. NWFC’s notable achievements in the 2000’s include 25 national champions, 33 world team members, three Olympians, and one World Champion. NWFC also achieved the designation as a national training center by the national governing body for the sport. Plans to grow NWFC’s facility are underway with our capital campaign, NWFC Next. The project includes expanding the training center by adding 7,000 square feet, which will enable NWFC to stay in its current location for decades to come, and provide a state-of-the-art venue for local, U.S. Fencing and FIE-sanctioned events. We invite you to explore the future of fencing in the Northwest through our capital campaign page, NWFC Next.